One of the most important areas to think about when building your construction project pipeline (i.e. 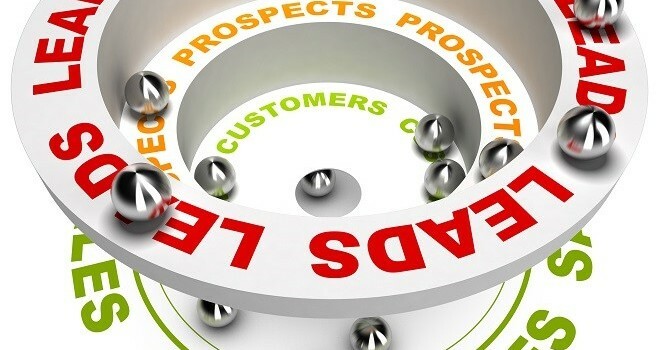 sales process) is your desired outcome. Several things impact success in business development and if you truly want to have successful outcomes, then it is absolutely necessary to have successful inputs into the project pipeline. Good, solid targets that you identify and classify very early in the sales process by potential fit may increase your successful close ratio. Bad targets with no construction budget or approved project on slate, or prospects that have just awarded a bid, can weigh on a healthy pipeline. The quicker you identify a target as viable the more time you can spend qualifying that prospect. 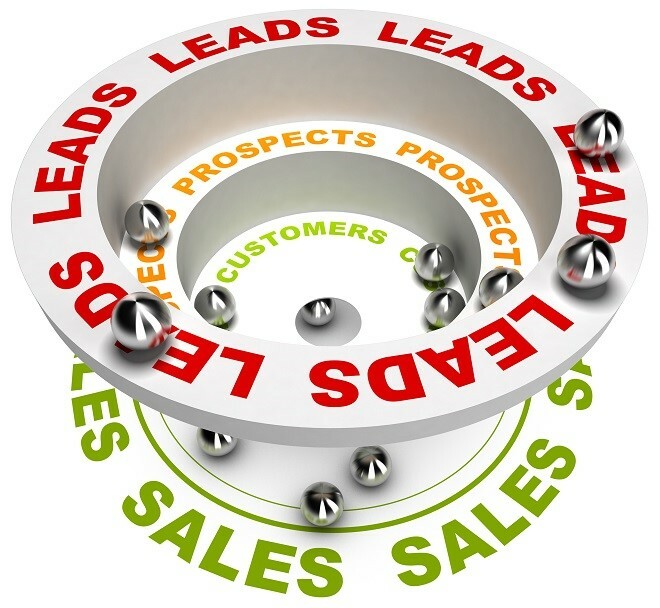 Qualification is a critical stage of the sales pipeline. In the qualification process, you verify need, as well as your value proposition, and determine your strategy. It is very important to understand every prospect’s buying cycle and process for construction procurement and match them up with your organization’s ability to deliver. If it is low bid, an invited short list, or negotiated opportunity, at this stage you define the most immediate synergy for your company. The internet is an amazing tool to discover information on both public and private organizations, so leverage the internet and learn as much as you can about your prospect. If you have not pre-qualified a prospect to determine if the right merits exist for a construction project, then more than likely they will not. Why waste precious time and commit precious company resources for an opportunity that has not been properly qualified? At the development stage you have already identified a new opportunity and qualified the opportunity as viable; now it is time to understand and execute on timelines, communicate effectively via your proposal, and begin aligning the professional resources that will deliver the work–essentially shepherding all external and internal stakeholders through the various phases of bringing everything together. This takes great listening skills to satisfy all the details of a new construction project, whether the project is with a new client or an existing client. You also need to be attentive to ensure your company’s needs and expectations are also being protected. Win the project, execute on delivery, delight the customer, and then start the process all over again with another well-identified, qualified, and developed prospect! This will help ensure another high probability for a construction project win from a robust and healthy Sales Pipeline! Never stretch the truth or be overly optimistic with your Sales Pipeline. Management is actively looking at your construction sales forecast and pipeline projections to make a number of strategic business decisions that have significant impact on your company’s success. Happy Hunting for a Healthy Pipeline! 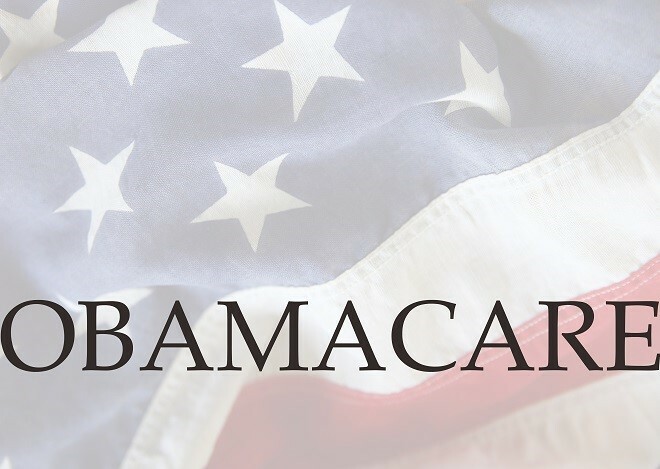 As a benefits consultant, I am often asked by my clients what type of impact the Affordable Care Act (ACA) will have on small businesses. 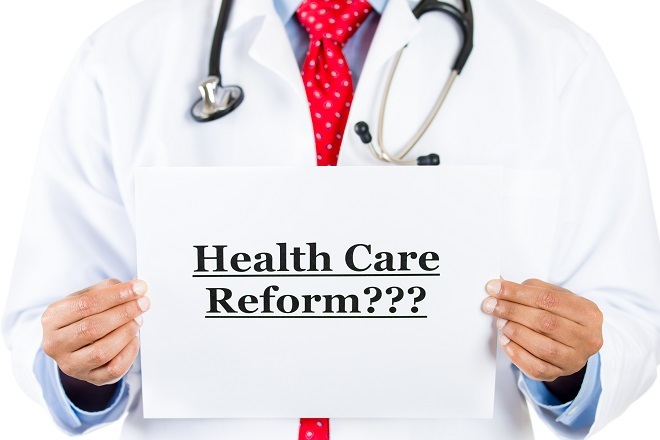 Implementation of the Affordable Care Act occurs in stages, with many of the reforms and requirements taking effect in 2014. The small business Health Care Tax Credit helps small employers afford the cost of health care coverage for their employees and is specifically targeted for those employers with low- and moderate-income workers. The credit is designed to encourage small employers to offer health insurance coverage for the first time or maintain coverage they already have. Since 2010, businesses that have fewer than 25 full-time equivalent employees (FTEs), pay average annual wages below $50,000, and contribute 50% or more toward employees’ self-only health insurance premiums may qualify for a small business tax credit of up to 35% to help offset the costs of insurance. In 2014, this tax credit goes up to 50% and is available to qualified small employers that participate in the Small Business Health Options Program (SHOP). Eligible small employers can claim the current credit through 2013, and the enhanced credit can be claimed for any two consecutive taxable years beginning in 2014. Under the Affordable Care Act, employers covered by the Fair Labor Standards Act (generally, those firms that have at least one employee and at least $500,000 in annual dollar volume of business) must provide notification to their employees about the new Health Insurance Marketplace, inform employees that they may be eligible for a premium tax credit if they purchase coverage through the Marketplace, and advise employees that if they purchase a plan through the Marketplace, they may lose the employer contribution (if any) to any health benefits plan offered by the employer. Employers are required to have provided this notice to all current employees by October 1, 2013, and to each new employee at the time of hire beginning October 1, 2013, regardless of plan enrollment status (if applicable) or of part-time or full-time status. The Department of Labor has provided employers with two sample notices they may use to comply with this rule. Employers are required to provide employees with a standard “Summary of Benefits and Coverage” form explaining what their plan covers and what it costs. The purpose of the SBC form is to help employees better understand and evaluate their health insurance options. Penalties may be imposed for non-compliance. Under the ACA, insurance companies must spend at least 80% of premium dollars on medical care rather than administrative costs. Insurers who do not meet this ratio are required to provide rebates to their policyholders, which are typically employers who provide group health plans. Employers who receive these premium rebates must determine whether the rebates constitute plan assets. If treated as a plan asset, employers have discretion to determine a reasonable and fair allocation of the rebate. 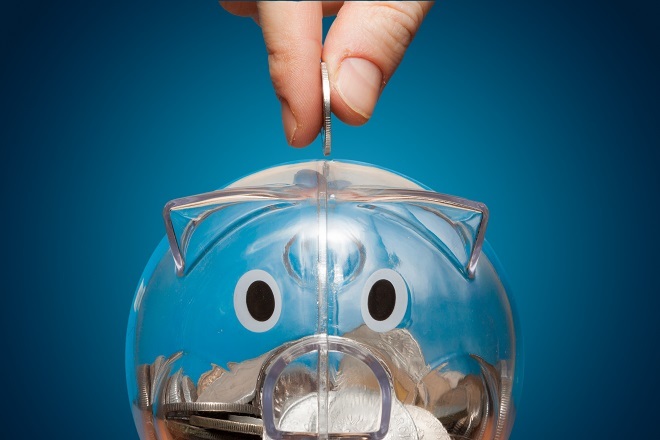 For plan years beginning on or after January 2013, the maximum amount an employee may elect to contribute to health care flexible spending arrangements (FSAs) for any year will be capped at $2500, subject to cost-of-living adjustments. Note that the limit only applies to elective employee contributions and does not extend to employer contributions. Beginning January 1, 2013, ACA increases the employee portion of the Medicare Part A Hospital Insurance withholdings by .9% (from 1.45% to 2.35%) on employees with incomes of over $200,000 for single filers and $250,000 for married joint filers. It is the employer’s obligation to withhold this additional tax, which applies only to wages in excess of these thresholds. The employer portion of the tax will remain unchanged at 1.45%. Beginning January 1, 2013, a 3.8% tax will be assessed on net investment income, such as taxable capital gains, dividends, rents, royalties, and interest for taxpayers with modified adjusted gross income more than $200,000 for single filers and $250,000 for married joint filers. Common types of income that are not investment income are wages, unemployment compensation, operating income from a non-passive business, Social Security benefits, alimony, tax-exempt interest, and self-employment income. 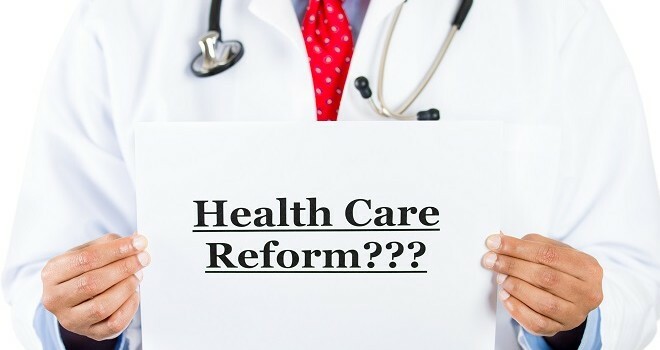 Beginning in 2015, the Affordable Care Act provides for new information reporting by employers that sponsor self-insured plans (Section 6055 rules). Self-funded employers, issuers, and other parties that provide health coverage must submit these new reports to the IRS, detailing information for each covered individual. The first of these reports must be filed in 2016. Vince – the blogger’s Reality Bite: Just about our entire existence Triune has offered affordable healthcare to its employees for three reasons. 1. It helps to recruit and retain the best and brightest in our industry. 2. Preventative healthcare is less expensive than catastrophic healthcare. 3. It is simply the right thing to do. As in many situations, new taxes create new opportunities. Wait, what? Opportunities? Absolutely! 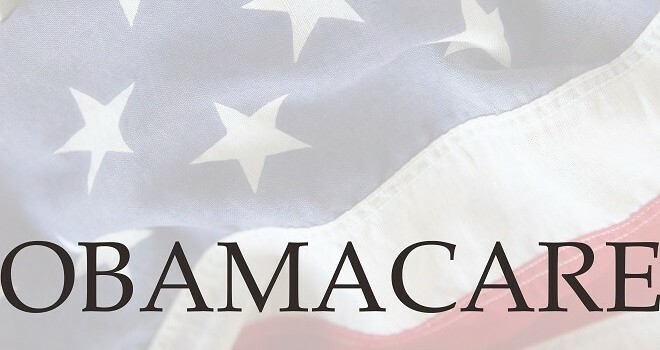 With the enactment of the Patient Protection and Affordable Care Act (PPACA), a new 3.8% Medicare tax (popularly referred to as the “ObamaCare Tax”) is imposed on the net investment income of tax payers at a certain Adjusted Gross Income level. In addition, the Medicare tax on self-employment income has increased from 2.9% to 3.8% on income in excess of $250,000 for a joint return. Not sounding like an opportunity yet? Well, you only have to look to the political leadership to see where it exists. Former House Speaker Newt Gingrich and former North Carolina Sen. John Edwards have both made the news recently for their use of S-corps (or S corporations) to avoid the Medicare tax and now the ObamaCare Tax. distributions of the S-corp. from self- employment tax. For example, we recently advised a company with $1.3 million in earnings (after the owner’s salary) to leverage this strategy. Under their previous structure, these earnings would be taxed at the normal income tax rate. Now, throw a 3.8% tax on top of that and you’ve got $49,400 in additional taxes simply due to the entity structure. By converting to an LLC and electing to be taxed as an S-corp., their earnings are no longer subject to the self-employment tax, and because the owner is active in the business, the earnings are not subject to the ObamaCare tax either, saving the client almost $50,000 in taxes! This is a perfectly legal entity strategy we use every day and one that many small business owners are simply unaware of! If you’re operating in an entity structure other than an S-corp. or you’re starting a new business, this is an excellent opportunity to minimize your overall tax burden. Existing entities may be able to simply elect to be taxed as an S-corp., or you may be able to convert your entity to an LLC and then make the “S” election. You should exercise caution in order to avoid triggering a taxable event upon making the election or conversion. In addition, you must still meet the Material Participation Test found in the Section 469 regulations. Make sure to consult your legal and tax advisors before taking any steps or making any decisions. But, by all means, consider the strategy as a potential way to improve your tax position and grow your bottom line. Things you need to know even if you didn’t go to business school. One goal of The Punch List is to assist those with ongoing commercial construction concerns and those thinking about starting a company. This, the first in a series of posts discussing topics useful and/or necessary in growing your existing business or starting a new one, will discuss whether one is cut out to start and run their own commercial construction concern. 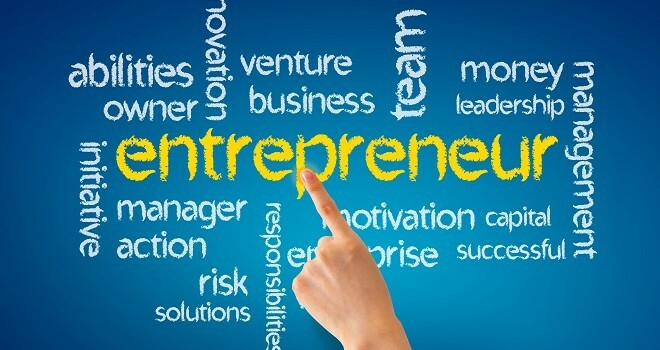 As you probably know, there is endless information available on all things entrepreneurial, but we want to focus our discussion on what we term the “Entrepreneurial Small Business.” But first, I will opine on a few of the most covered topics on becoming a new business owner. 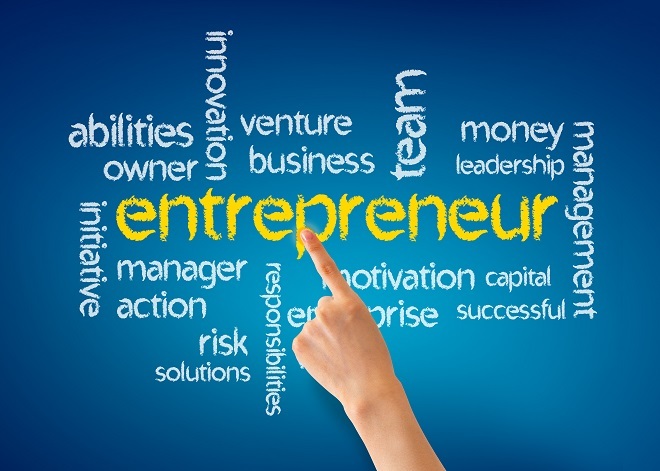 For some time there has been a huge debate on whether or not a person is a small business owner or entrepreneur. There are numerous so-called criteria on what determines if you fit the bill, as dictated by such questions as whether you have employees, if innovation is involved, the speed of wealth creation, etc. For our purposes, this post will speak to anyone who plans to undertake the risk of creating a profit driven venture. Specifically, those under-appreciated and overworked construction professionals who simply feel they are ready to give it a shot at being the captain of their own ship. Let the academics call you what they want; as long as you are fulfilled and successfully running your business, who gives a rat’s patootie? Another highly covered theme is the psychological and sociological impetuses that would move one to take the risk in the first place. Such factors as family socio-economic status, foreign-language barriers, racial and/or ethnic discrimination, aversion to authority and sheer desperation are but a few of the factors often cited. Regardless of why you are motivated to pursue this track, you will need to be motivated. Lastly, by far the number-one written-about topic: what are the common entrepreneurial traits and characteristics? Just about everything written on this topic will include some synonym or derivative of such words as tenacity, creativity, resiliency, savvy, likability, energy, autonomy and integrity. And I agree; you are going to need many of these traits. However, I would be lying if I told you that if you could check off every trait, it would be the secret to your business success. The one thing I can say emphatically is that it isn’t going to be all fun and games, but it sure beats working for someone. Statistics show that the majority of small businesses fail within the first one to five years, and I highly doubt the primary reason is that they lack many of the characteristics or motivations to succeed. Sure, you are skilled, your services are competitively priced and customers love your work, but success requires much more. Too many business owners fail because they put all efforts in one area of a business to the detriment of others. If you want to be successful for the long run you will have to learn quickly to become a successful businessperson. This doesn’t mean you have to go back to school; however, it does mean that you need to develop a good working knowledge of all aspects of a successful business, from technology to finance, personnel to marketing, risk management to customer service. You have no excuse—good information is everywhere. Create your own curriculum, develop a regular study schedule and stay informed on issues affecting your industry. Learn from the mistakes of others and emulate their successes. Make every effort to learn what successful businesses do and don’t do. 1. Your Faith. To be successful, you are going to have to develop a deep faith that anything is possible. Throughout your journey there will be many instances where your faith will be tested, and without it failure is assured. I once asked a group of business people how many times they have thought they might go out of business. One person answered by saying, “You mean how many times a day?” Certainly this is not meant to be a post on religion, but by whatever means necessary you are going to have to develop your faith. 2. Your Critical Thinking. Thinking critically is paramount for you as the owner and anyone involved in your business. To truly understand the importance of critical thinking, you must first understand what critical thinking entails. Critical Thinking entails considering all aspects of a situation with an open mind before making a decision.” This behavior is even more critical in a small business, where each decision has the potential to make or break the company. One way to start working on your critical thinking skills immediately is by asking yourself “Who, What, Why, When and How?” every time a situation arises that requires a decision. 3. Your Intuition. A lot of people believe intuition is a gift and not a learned behavior. Yes, some are born with a great deal of natural intuition. However, those of you who lack it can still develop a healthy dose. You say, “but why bother?” Highly developed intuition is crucial; it can mean the difference between life and death for your business. Having this skill will help you make decisions, deal with people and navigate the inevitable traps that come with running a business. Acknowledge that you have and are able to develop your intuition and then start improving upon it. As you may have noticed, all three of these crucial behaviors can be learned and improved upon. If you are hoping for success, there is simply too much good information available for you not to maximize your knowledge on these subjects. In plan years beginning on or after January 1, 2014, a group health plan may not apply any waiting period that exceeds 90 days. A waiting period is the time that must pass before coverage for an individual who is otherwise eligible to enroll under the terms of the plan can become effective. 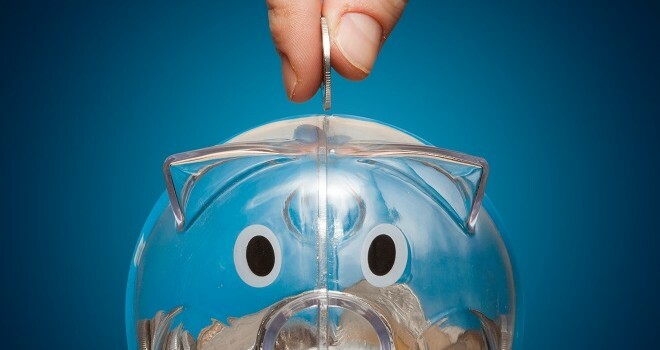 Non-grandfathered plans offered in the small-group market must cover a core package of items and services known as “essential health benefits” for plan years beginning on or after January 1, 2014. In addition, non-grandfathered group plans must ensure that cost sharing for coverage provided in network does not exceed certain limitations, including limits on both out-of-pocket maximums and deductibles. Note: Certain small businesses were permitted to renew existing group coverage for 2014 that does not comply with the requirements to cover essential health benefits and limit annual cost sharing under the plan. Enforcement of the “pay or play” requirements—which apply generally to employers with at least 50 full-time employees, including full-time equivalents—is delayed for one year, so penalties will not apply until 2015. However, employers using the optional look-back method to determine full-time employee status will need to begin their measurement periods in 2014. Employers subject to the “pay or play” requirements also will not be required to report certain information regarding health coverage offered to employees until 2015. Such reporting is necessary for the IRS to determine whether a “pay or play” penalty may be due. Employers are encouraged to voluntarily comply with the information reporting requirements during 2014. Annual dollar limits on coverage of essential health benefits are prohibited for group health plans issued or renewed beginning January 1, 2014. In addition, group health plans may not exclude individuals from coverage (regardless of age) or limit or deny benefits on the basis of preexisting medical conditions. Online enrollment for small-business employers who wish to purchase employee health coverage through the federally facilitated Small Business Health Options Program (SHOP) is delayed until November 2014. Until online functionality is available, small-business owners may work with an agent or broker to select a SHOP qualified plan and enroll employees. Employers located in a state operating its own SHOP must follow that state’s application and enrollment process. For plan years beginning on or after January 1, 2014, wellness programs that require an individual to satisfy a standard related to a health factor in order to obtain a reward must comply with revised nondiscrimination rules. The maximum permissible reward that may be offered under such programs is increased from 20% to 30% of the cost of coverage, and to 50% for programs designed to prevent or reduce tobacco use. As a reminder, in 2014, employers must continue to provide newly hired employees with a written notice about the Health Insurance Exchange (Marketplace) within 14 days of the employee’s start date. In addition, both grandfathered and non-grandfathered group health plans that cover dependents must make coverage available until a child reaches age 26, regardless of other coverage options. Copyright 2014 TMV, LLC (Triune). Any and all rights reserved.